Walt Disney picha - The Disney Princesses. 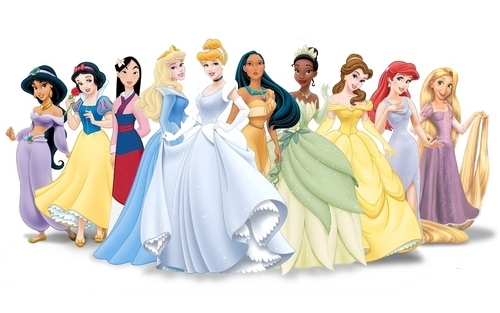 From left to right: The Official Disney Princesses: Jasmine, Snow White, Mulan, Aurora, Cinderella, Pocahontas, Tiana, Belle, Ariel, & Rapunzel. HD Wallpaper and background images in the Walt Disney Characters club tagged: walt disney characters walt disney images disney princess the little mermaid princess ariel cinderella princess cinderella sleeping beauty princess aurora aladdin princess jasmine. This Walt Disney Characters wallpaper might contain bridesmaid, msichana wa heshima, mjakazi wa heshima, kanzu, gown, chakula cha jioni mavazi, chakula cha jioni kanzu, rasmi, jioni kanzu, mavazi ya chakula cha jioni, and kanzu jioni.